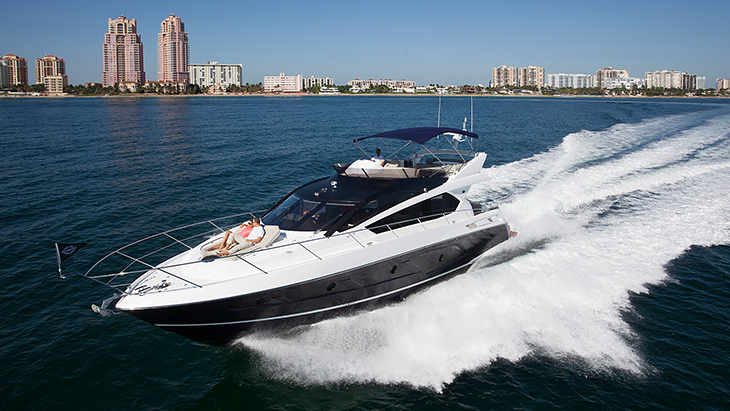 The British manufacturer Sunseeker combines sportiness, comfort and elegance on their yachts. Top manufacturing quality and outstanding design are of paramount importance for the yacht designers from Poole. In addition to the use of high-quality materials for an exclusive living environment on board, Axor bathroom faucets and modern showering comfort from Hansgrohe also meet the highest demands for a discerning clientèle in the bathrooms. 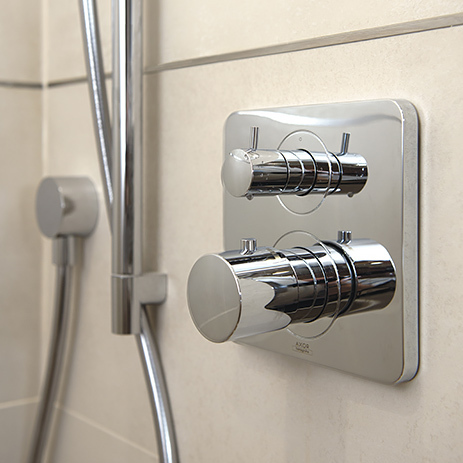 The bathroom products from the Black Forest not only impress thanks to their seaworthy quality and versatility on board the Sunseeker Manhattan range. The space-saving wall-mounted faucets at the wash basin from the Axor Citterio M bathroom collection ensure outstanding space efficiency as they leave the shelf areas free. 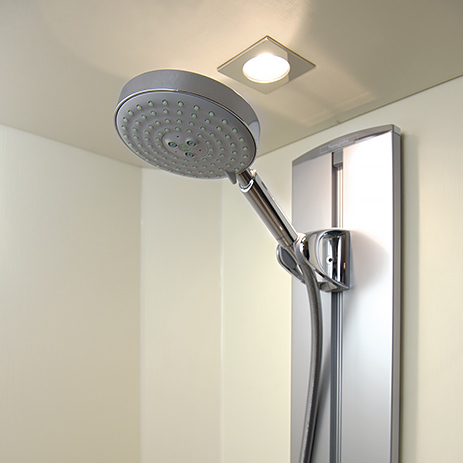 The ergonomic lever handles can also be operated with soapy hands and when at sea. 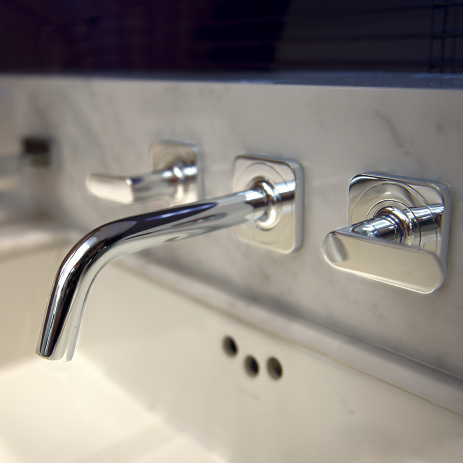 The timeless elegance of the faucets blends in perfectly with the classic marble and fine wood of the fixtures. Another variation at the lavatory is possible with the Axor Uno² single-hole faucet combined with a countertop basin. 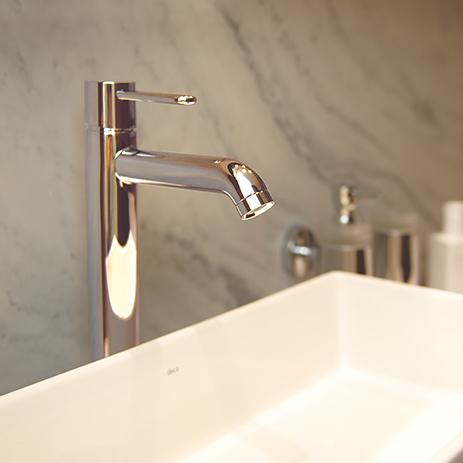 Thanks to ComfortZone, the height of the basin perfectly matches the faucet. 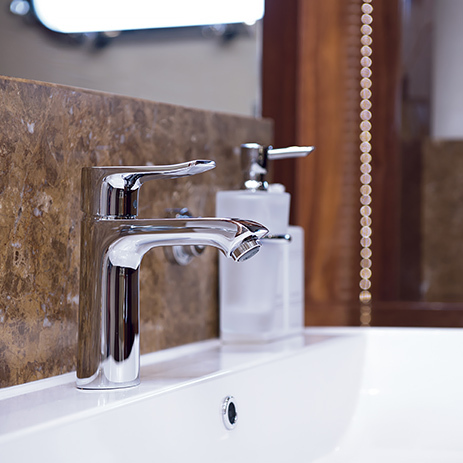 In keeping with the individual wishes of demanding clients, Sunseeker also offers faucets with special finishes such as gold or polished bronze. These customized products are the work of the Axor Manufaktur team. 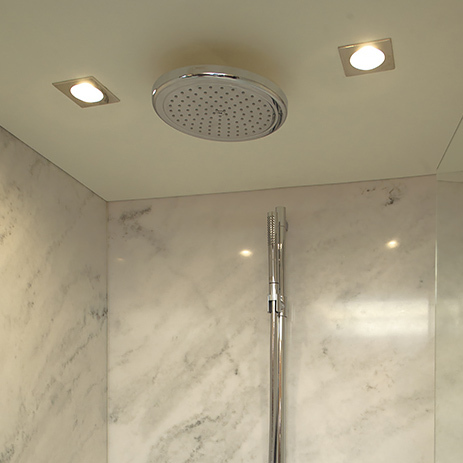 In the showers, guests can experience state-of-the-art operating comfort with Hansgrohe ShowerSelect, Croma overhead showers and Hansgrohe shower panels in further design variations of the Sunseeker motor yachts. On board – where every square meter of space is precious – the efficient use of water with Hansgrohe EcoSmart technology is also a convincing argument. Sunseeker follows a holistic approach in the ongoing development of their products: Customers should not only love to touch and use the products and materials on board – they should also be emotionally addressed by the design quality. It is thus only logical that Hansgrohe is one of the preferred partners of this globally successful luxury yacht manufacturer. Building owner/shipyard: Sunseeker International Ltd.